The 89th Academy Awards just wrapped up and we have a complete list of winners! 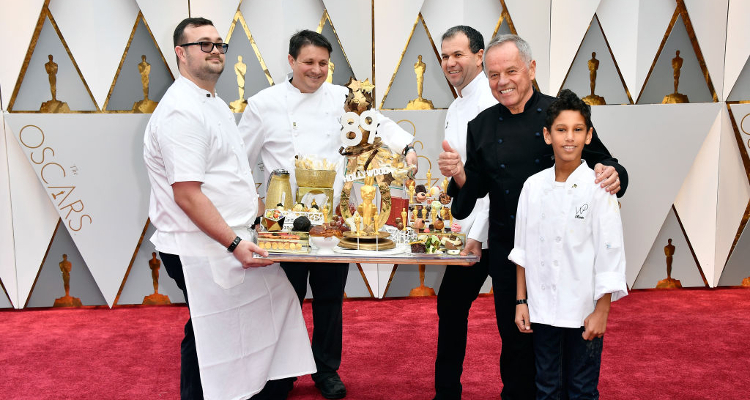 Find out the Oscars results right here! The Academy Awards, hosted by Jimmy Kimmel has just ended and Hollywood’s biggest night has come to a close. 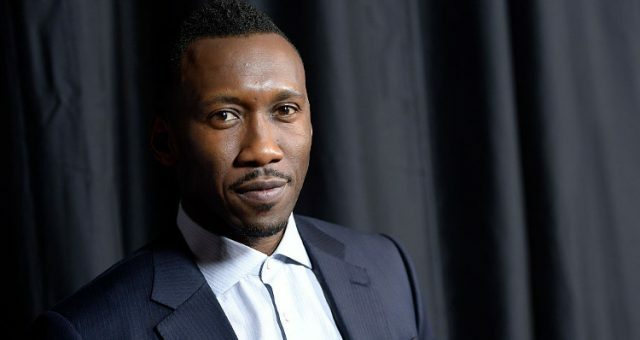 Mahershala Ali earned his first Oscar nod for his performance as a drug dealer named Juan, who becomes a mentor to a young gay black man in Moonlight. Viola Davis took the Oscar for Best Supporting Actress for her role in Fences. La La Land and Moonlight also won big after some heart-stopping drama. Here’s an update about the winners of last night’s Academy Awards. Who Took Home an Oscar Tonight? Justin Timberlake opened the show with a performance of “Can’t Stop the Feeling” before Jimmy Kimmel took the stage for his Oscars debut. With an opening monologue that included both Donald Trump and Kimmel’s pseudo-rival Matt Damon, the show began with announcing the Best Supporting Actor. 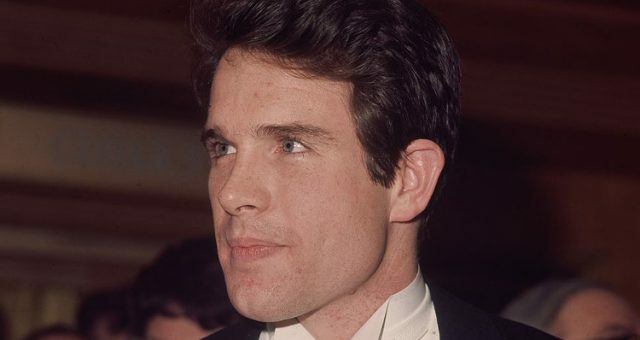 This year, the Oscars presented a video montage of past winners in each category before announcing this year’s nominees and winner. Alicia Vikander, who won an Academy Award last year, presented the Oscar for Best Supporting Actor. As many anticipated, Mahershala Ali picked up the statuette. Ali is the first Muslim to win an Oscar. He beat out the another popular contender, Dev Patel from Lion, as well as Lucas Hedges (Manchester by the Sea), Michael Shannon (Nocturnal Animals), and Jeff Bridges (Hell or High Water). The 43-year-old shook hands with his fellow nominee, Jeff Bridges as he headed up to the stage. The first people he thanked in his acceptance speech were his teachers, and he also made a mention of his wife and their daughter, who was born just four days ago. Kate McKinnon and Jason Bateman presented the Oscar for Best Hair and Makeup. Suicide Squad is now an Oscar-winning movie after Alessandro Bertolazzi, Giorgio Gregorini, and Christopher Nelson took home the award for best hair and makeup. Colleen Atwood was nominated in this category 12 times and has won four of them, including her most recent work in the Harry Potter universe’s latest movie, Fantastic Beasts and Where to Find Them. Hidden Figures stars Taraji P. Henson, Octavia Spencer, and Janelle Monae presented this award, along with NASA’s Katherine Johnson, who is portrayed by Henson in the movie. 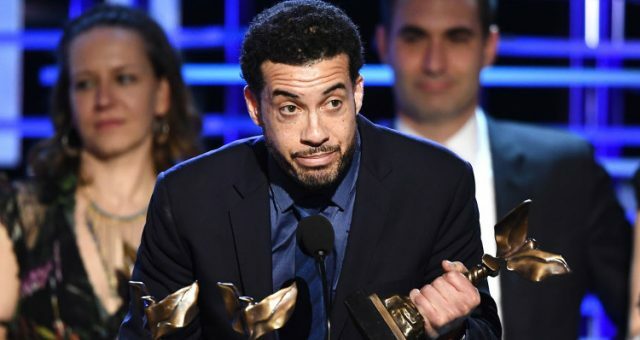 Ezra Edelman, director of O.J. : Made in America, accepted the award. Arrival won its first Oscar, beating out La La Land. This was Sylvain Bellemare of Montreal, Canada’s first nomination and win. La La Land once again lost in this category, this time to Kevin O’Connell, who has been nominated 20 times before finally taking the win tonight. He was kind of like the Leonardo DiCaprio of sound mixing. Other actresses in contention for this award were Naomie Harris (Moonlight), Nicole Kidman (Lion), Michelle Williams (Manchester by the Sea), Octavia Spencer (Hidden Figures). Charlize Theron and Shirley MacLaine were there to present the Oscar for the Best Foreign Language Film. The Salesman, an Iranian drama that made news after Trump’s travel ban, was the winner. Director Asghar Farhadi was not at the ceremony, refusing to leave Iran due to the executive order. He had Iranian-American astronaut Anousheh Ansari accept the award on his behalf and read his speech. Hailee Steinfeld and Gael Garcia Bernal presented the Oscar for the Best Animated Short Film to Pixar’s Piper. Disney’s animated feature film, Zootopia took the Oscar for Best Animated Feature Film. The film beat out another Disney release, Moana, for both the Oscar and the Golden Globe. Fifty Shades couple, Dakota Johnson and Jamie Dornan presented La La Land with the award for the Best Production Design. David Wasco and Sandy Reynolds-Wasco accepted the award. Felicity Jones and Riz Ahmed presented the Oscar for Best Visual Effects, which included nominees, Fantastic Beasts and Rogue One. The Jungle Book took home another Oscar for Disney. Michael J. Fox and Seth Rogen presented the award for the Best Film Editing after an introduction that featured the DeLorean from Back to the Future. Hacksaw Ridge took another Oscar home, this time John Gilbert accepted the award for his editing. Salma Hayek and David Oyelowo presented the award to The White Helmets, a Netflix documentary about the first responders to civilian attacks in Syria. Its cinematographer, Syrian-native Khaled Khateeb, was denied entry into the U.S. to attend the event, despite having a visa. This was another category where La La Land and Moonlight were contenders. Academy Award veteran, Meryl Streep and Javier Bardem presented the award to La La Land in the musical’s second win of the night. Like that was a surprise! Justin Hurwitz was a shoo-in for Best Original Score Oscar for his hit number in La La Land. Ben Affleck and Matt Damon presented the award for the Best Original Screenplay, amid Kimmel cutting Damon off with the orchestra. Matt Damon’s Manchester by the Sea took the Oscar with no comment from Kimmel. Tarell Alvin McCraney’s play, In Moonlight Black Boys Look Blue was adapted to the big screen by Barry Jenkins. It was the predicted most-deserved winner in the category by most. Halle Barry presented in the first of the biggest award categories of the night. Damien Chazelle, the director of La La Land, won his first Oscar. At just 32 years old, he’s the youngest Oscar-winning director in the history of the Academy. 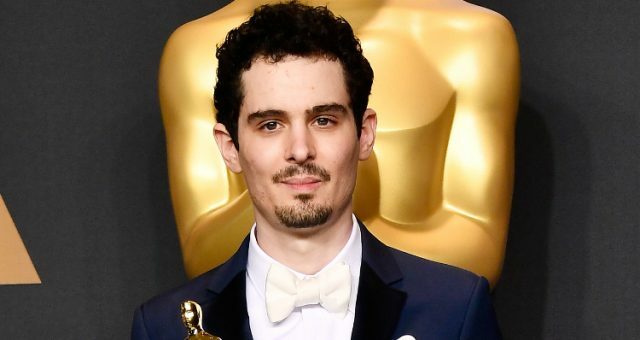 “This was a film about love and I was lucky to fall in love while making it,” Chazelle said, dedicating the award to his girlfriend, Olivia Hamilton. The nominees in this category included Andrew Garfield (Hacksaw Ridge), Denzel Washington (Fences), Viggo Mortensen (Captain Fantastic), and Ryan Gosling (La La Land). An emotional Affleck thanked his main competition and inspiration, Denzel Washington, which prompted the camera to turn to the Fences actor. Affleck was also grateful to his family and the film’s director and producer, Matt Damon. Ruth Negga (Loving), Natalie Portman (Jackie), Isabelle Huppert (Elle), and Meryl Streep (Florence Foster Jenkins) were the other nominees for Best Actress. Last year’s Best Actor winner, Leonardo DiCaprio, presented the award. Emma Stone won the first Oscar of her career with her second nomination. La La Land, Hell or High Water, Hacksaw Ridge, Arrival, Hidden Figures, Manchester by the Sea, Lion, Moonlight, and Fences were in the running for the biggest Oscar award of the night. Moonlight beat La La Land, albeit in a very Steve Harvey/Miss Universe moment for the Oscar for Best Picture.